Among the graduates of famous Bethany College in West Virginia was Canadian-born John W. Jenkins. Mr. Jenkins came to the United States when he was 14 and graduated from Bethany when he was 23. His first ministry was at Paw Paw, Michigan, west of Kalamazoo on Interstate 94. From there, he took the leadership at the Chesterland and West Madison Avenue Church in Cleveland, Ohio. The church was then located just north of present-day Interstate 90. This was the era of the one-year preaching contracts. From here, Mr. Jenkins moved to Jamaica where he spent the next three and one-half years evangelizing. Upon returning, he served among black people at the Southern Christian Institute for two years. During these years, he had married Flora M. Scott. They moved to The Dalles, Oregon in 1893 and began a long ministry in Oregon state. They pulled together scattered believers at The Dalles and held services in the Court Room at the Old Court House. Their names appear on the charter membership list. Soon the group built a building that was used nearly one-half century. The church is very active today. For more details, see The Dalles entry in Wasco County, Oregon. Retaining all of the enthusiasm of a church planter, J. W. Jenkins next moved to the newly developing congregation at Heppner in Morrow County, Oregon. Heppner church records list him as the first vocational minister. The church continues as an active witness in the community yet today. The next task for the family was working with the newly formed church at Hood River, Oregon, a short distance west of The Dalles. After a few years, the church closed, but has been restarted and has a fine building and witness in Hood River. From the Federal Census at Hood River we learn the Jenkins had four children: Lucy, 13; Mabel, 10; Wilford, 6; and Harold, 4. Lucy was born in England, so the couple had gone there in the Fall of 1886. 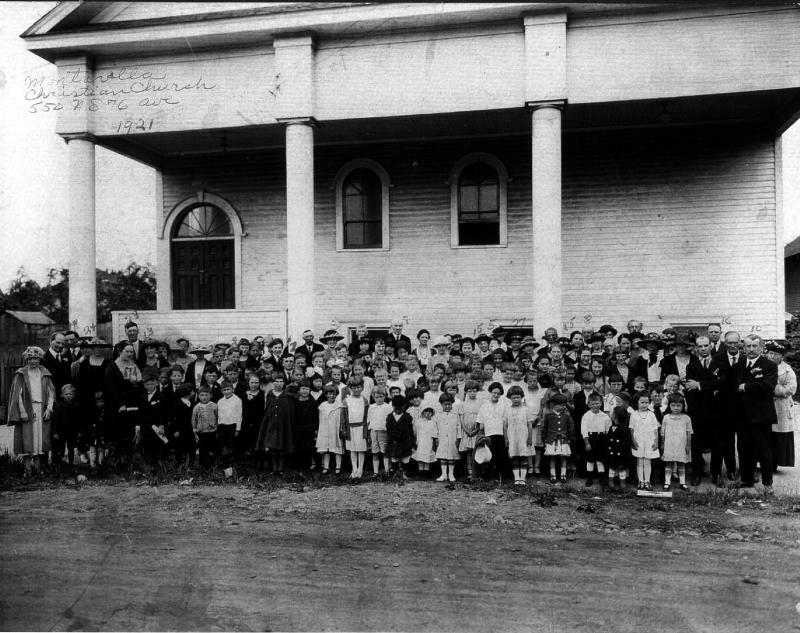 By 1903 the Jenkins family was living at Athena in Umatilla County, where he was the minister of the Christian Church. There were more one-year preaching contracts in Oregon: Dallas, Klamath Falls, Corvallis, McMinnville and finally the Montavilla Church in Portland. All of these congregations are still intact nearly 100 years later. The Montavilla Church has evolved into the Crossroads Church on 102nd Avenue on Portland. 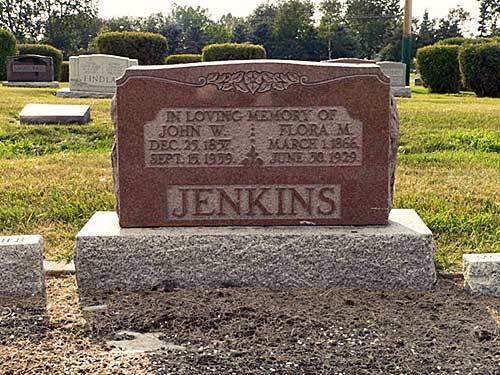 After Portland, Mr. Jenkins moved his family to Aldersyde in Alberta, Canada. He worked as an evangelist among young churches and served as President of the Board of Trustees of Alberta Bible College. He passed from this life September 15, 1939 at Coeur d'Alene, Idaho. 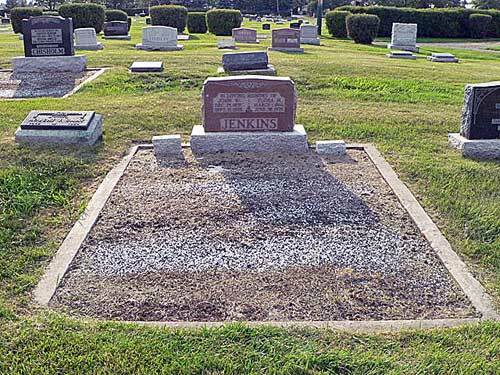 His funeral was held in High River, Alberta, Canada and he was buried in the High Wood Cemetery.